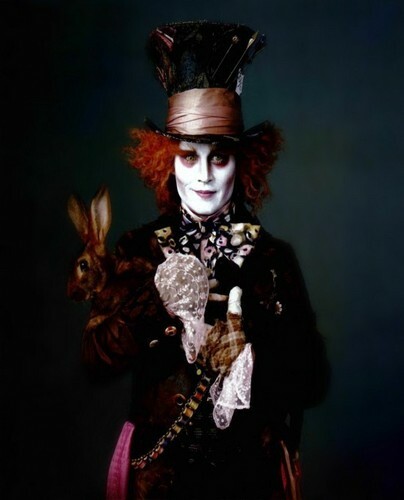 Vanity Fair Magazine Scan: The Mad Hatter. . Wallpaper and background images in the alice no país das maravilhas (2010) club tagged: alice in wonderland tim burton tim burton's alice in wonderland 2009 magazine scan the mad hatter johnny depp vanity fair. This alice no país das maravilhas (2010) photo might contain surcoat and sobretudo. This looks very, VERY much like the first image that was ever leaked! hes got weird eyeshadow but still he looks soooo cute i luv u johnny!